If you want the SMLE tshirt, talk to 1791 apparel. If you’d like to buy my #4mk1 Enfield (made in 1945) for $175+shipping, talk to me. If you want the girl, you are out of luck. She’s taken. Update: Enfield is sold pending funds. 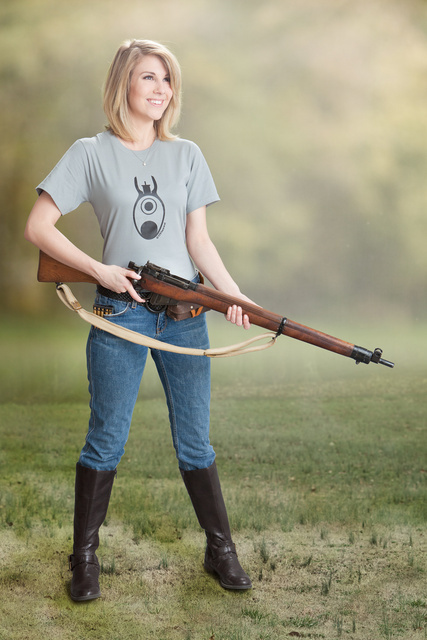 This entry was posted in interesting people, rifle and tagged 1791 Apparel, SMLE, tshirt. Bookmark the permalink. Oleg — I am interested in that Enfield. Can you tell me more about it? I too am interested in the Enfield. Please contact me. Where do you find such beauties, Oleg? What’s your secret? She’s perfect. Flawless like a CVD diamond and with a more brilliant smile..
Do you have access to a parallel dimensions where the Roman Empire did not fall but had an industrial revolution in the 1st millenium and where they clone you your models to your specs? Hey, we have thousands of years of documented proof that every beautiful woman can be bought if the price is high enough. *chuckle* I kinda figured the lady was taken Oleg. Seems most of the ones you use for the shots are. You cruel, cruel lad you.